Do you know what your family was doing five generations ago? Most of us probably don’t have a clue and even if we did it probably doesn’t have anything to do with what we are doing now. 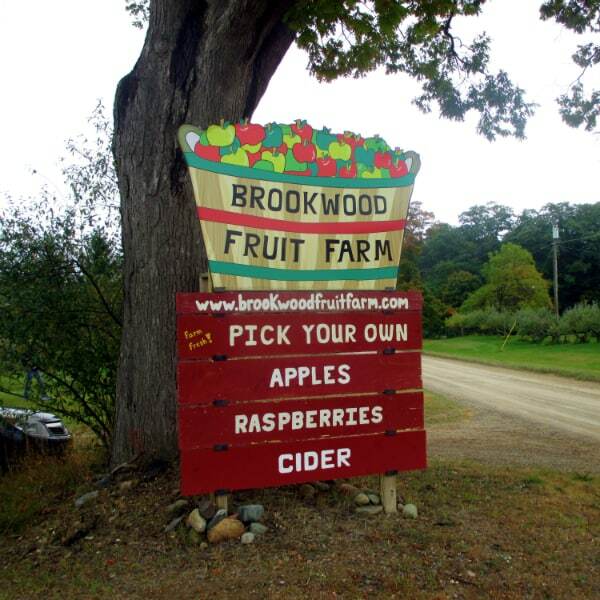 Unless your the Bristol family, owners of Brookwood Fruit Farm in Almont, Michigan. 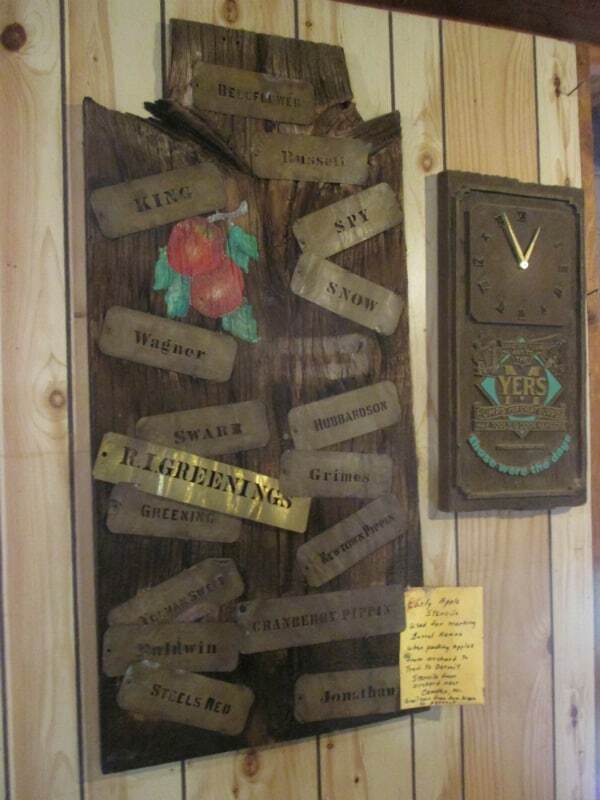 They have been running an orchard for five generations now (the sixth generation may still be in diapers). 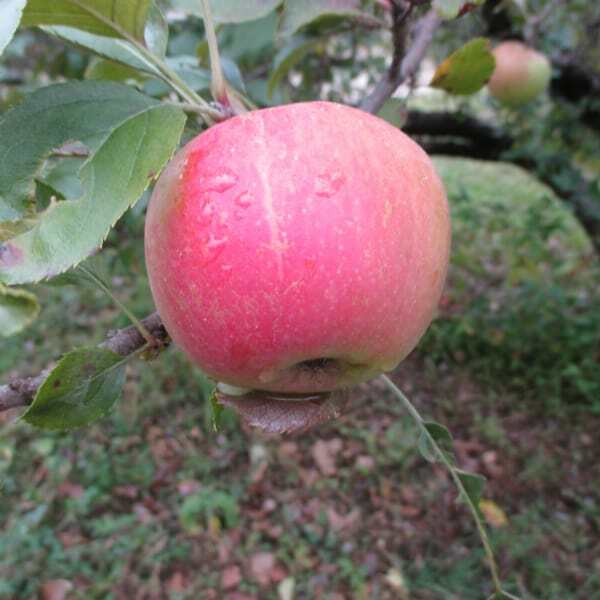 I took a tour of their orchard and got to see and taste this history. Brookwood will be featured in the 2nd issue of “Fruits of Their Labor” – my e-magazine series those goes behind the scenes where our food is grown, and shows the challenges and the triumphs of those growers/producers. 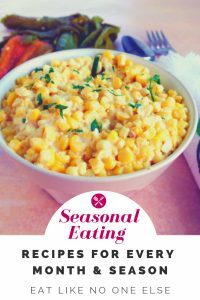 In this post I will give you a preview of this farm and why if you are nearby you should check it out for yourself. 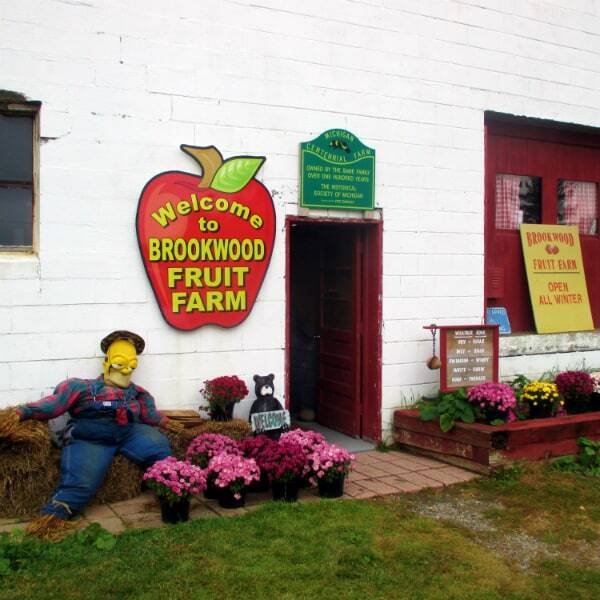 Brookwood is a great place to come and pick your own apples. They charge $12 for a half bushel bag. 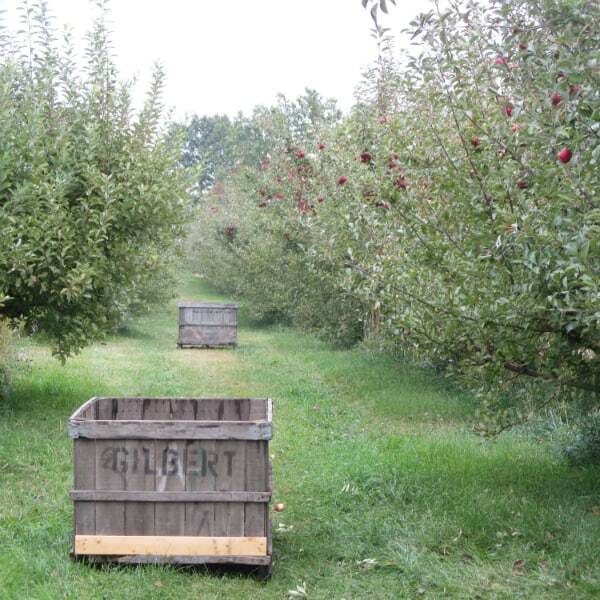 They have all the familiar Michigan grown apples for picking (Jonathan, Cortland, McIntosh, Ida Red, Empire, etc.) 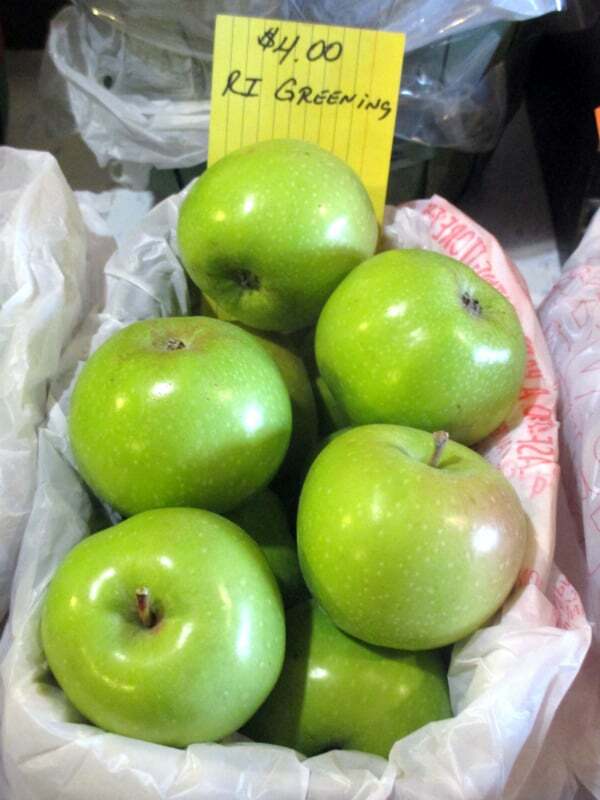 They also have a large selection of Northern Spy apples known to be one of, if not the best baking apple (spies for pies!). 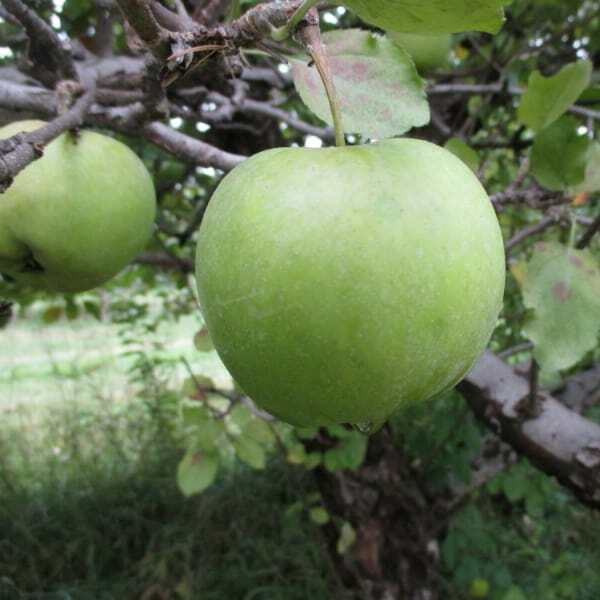 Spigold, which is a cross between Northern Spy and Golden Delicious, is another apple you can pick yourself. 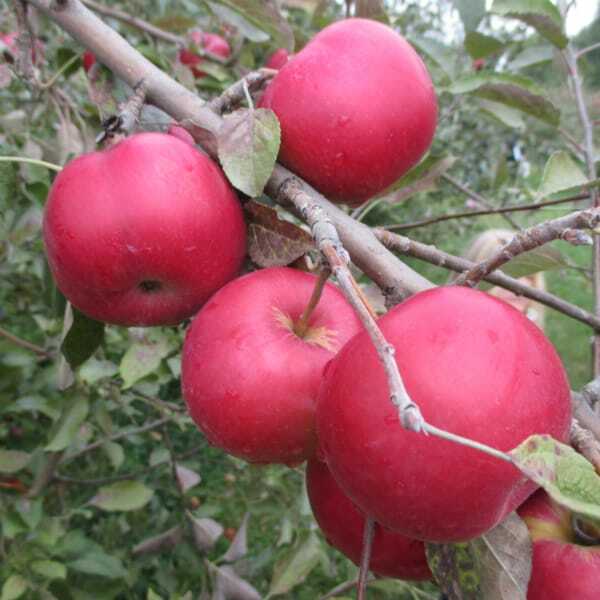 They also have some older varieties like Rhode Island Greening, Snow, and Newtown Pippen as well as some newer varieties like Snow Sweet, Nova Spy and Crimson Crisp. Their collection includes over 40 varieties. It shouldn’t be hard to find something that you like. Each row is marked with a number and you can ask at the checkout desk inside what apples are in what row. The farm has a lot of charm to it. 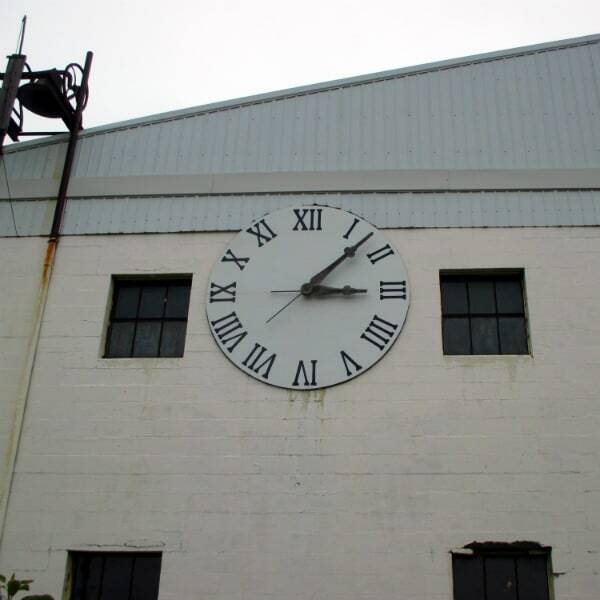 From the large clock outside the apple storage building to some old stencils with apple names on it in the inside. The staff I encountered were all very helpful and friendly. You definitely got that family vibe there. It is in very peaceful surroundings. It’s not a big circus show like some orchards have become. The fruit is center stage like it it should be. They are open during the season weekly from 9am to 5pm. They are located at 7845 Bordman Rd Almont, MI 48003. 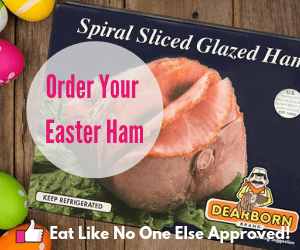 You can also finding them at the Oakland County Farmer’s Market on Tuesdays, Thursdays, and Saturdays. 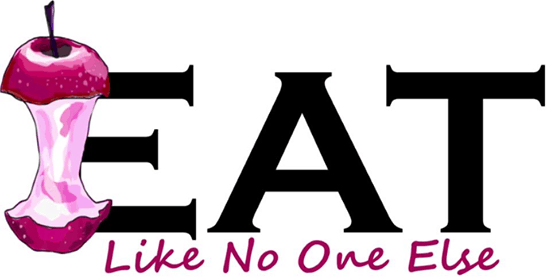 For more information visit their webpage or like them on facebook. 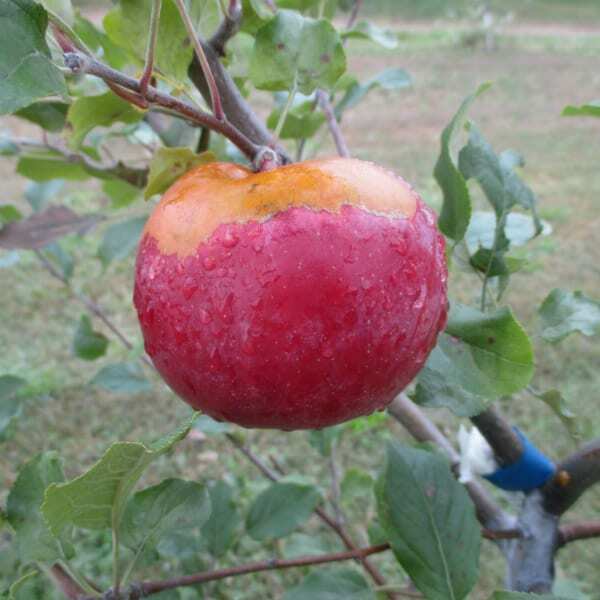 Below you will find a few more pictures of some of the apples, including in order Mutsu, Nova Spy, Rhode Island Greening, and Spigold. 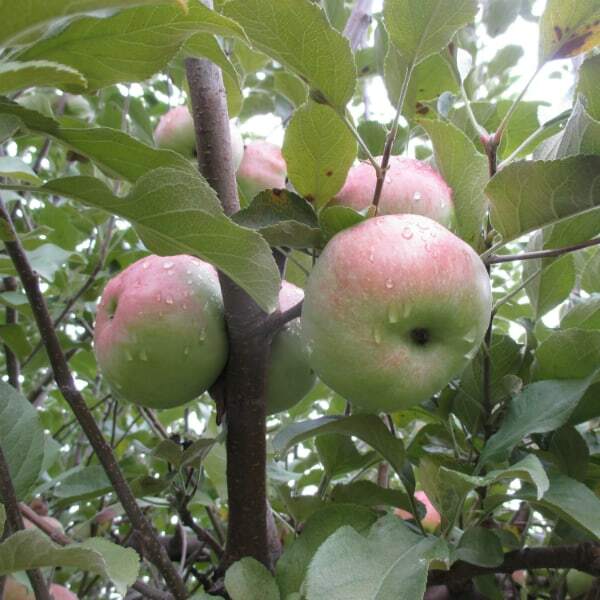 To learn more about this orchard, stay tuned for the release of Issue 2 of “Fruits of Their Labor“.